Welcome to the Europahaus Wien conference and event centre! Whether you are participating a congress, visiting Vienna, or indeed getting married, we have the perfect venue for you. Host your seminar or congress in the conference centre or in the baroque castle. Enjoy your business lunch in the orangery. Celebrate in the castle or the restaurant and spend the night in the conference hotel. Hold your dream-wedding in our green park. Celebrate your bridal party in the Orangery or the Miller-Aichholz castle. Afterwards spend the night romantically in one of our Junior Suites. Complement your visit to Vienna by enjoying the beautiful park on the outskirts of the city. Benefit from our free parking, the nearby motorway exit and the public transport links to the city centre. 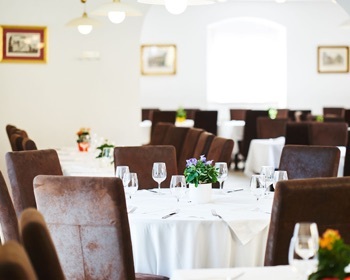 Taste traditional Austrian cuisine in our restaurant next to the baroque castle and spend the night in the park hotel. Form of address Mr. Mrs. Ms.
Should we know anything else? 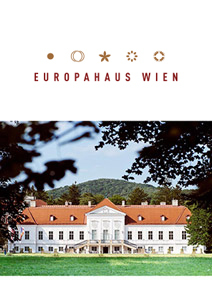 Yes, I would like to receive the Europahaus Wien newsletter with special offers and promotions. I can log out anytime easily and conveniently.